Maggie McGuire.... Got the Part! Lieutenant Peter Morales: Is your husband here? Mrs. Smerrling: [after a pause] Not exactly. Lieutenant Peter Morales: Were you ever married? 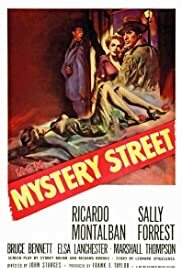 See it for the Boston locations, for an early gritty performance by Montalban before he became a Latin heartthrob joke, for the intricate plot, vivid characterizations and snappy editing, but see it most of all for the extraordinary cinematography of John Alton. What he does with composition, deep focus and lighting is amazing. That he often does it on locations where he did not have the control of a soundstage is astonishing. 48 of 50 people found this review helpful. Was this review helpful to you?